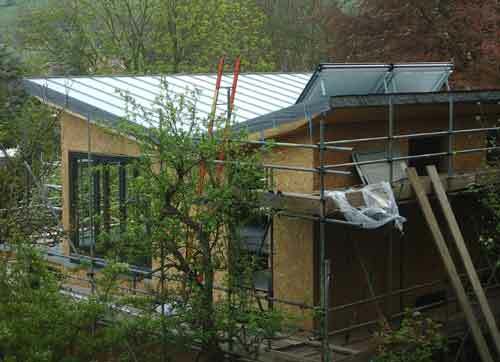 A bold modern design for a new-build house in a Sussex village. 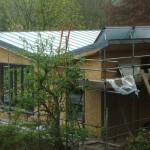 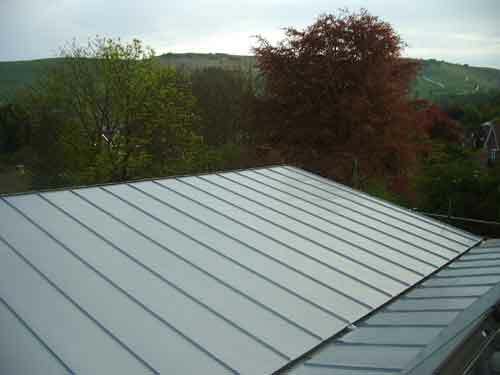 Metal Roof Ltd are currently working on this project and the fascias and soffits are not yet installed. 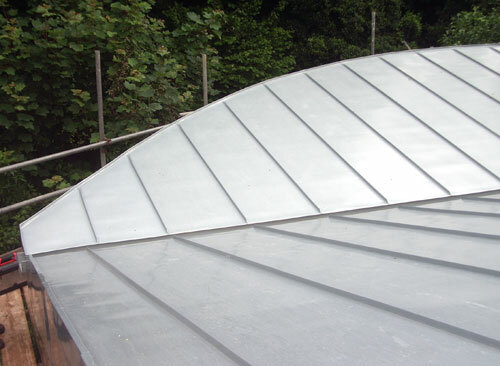 The internal box gutter running down the centre of the roof can be seen. 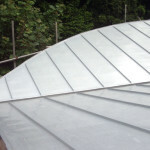 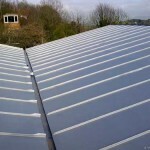 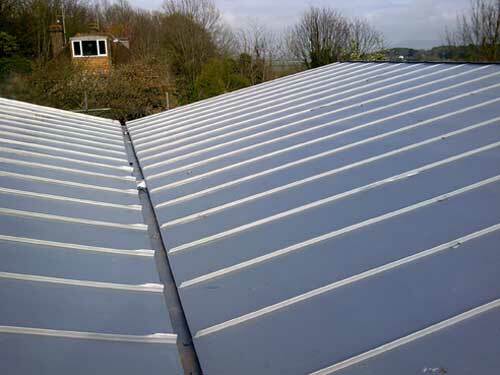 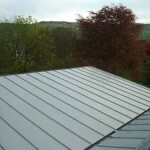 This allows for a cleaner line at the edge of the building, without traditional guttering.